Feline Dentistry: Oral Assessment, Treatment, and Preventative Care is the only current reference devoted to feline dentistry. It brings together information on anatomy, pathology, radiology, equipment, materials, anesthesia, treatment, medical, and surgical dental care of the cat. 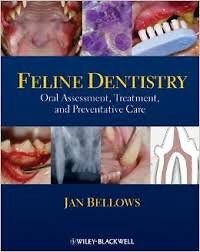 This text serves as a guide to the diagnosis and management of general dental problems as well as problems unique to cats. Separated into three sections assessment, treatment, and prevention this full color book is an essential reference for any veterinarian treating feline patients.